This "academic language" refers to the universal and cross-curricular words found in prompts, questions, and directions. 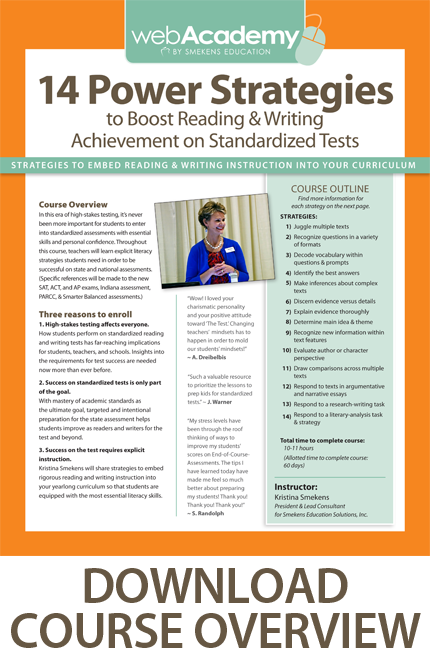 They reveal the specific task students are asked to perform (e.g., compare, explain, argue, interpret, etc.). They tell students what to do and the type of information required in the answer/response (e.g., best, most likely, cite evidence, etc.). For example, these four questions all address the same excerpt from the wordless picture book Sidewalk Circus. At first glance, they appear very similar. However, when applying them to the text itself, they would clearly produce different responses. If students do not accurately interpret the function of these general academic words, they will continue to miss points on standardized tests--and it's not because they didn't understand the passage they read. It's because they didn't understand the question they were asked! 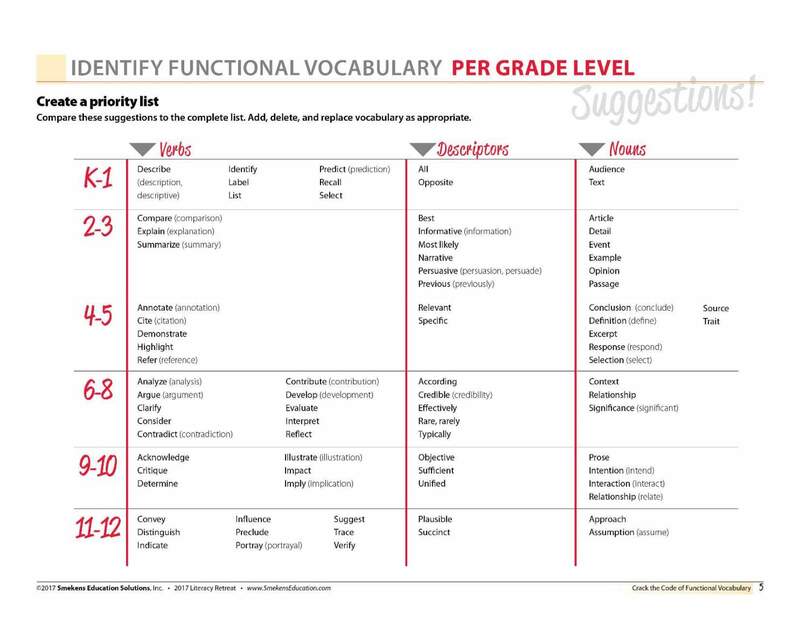 Download a suggested list of functional or general academic words per grade range (below, right). This scaffold is based on words that build on one another's meaning. Students need to be able to summarize one idea before they can compare multiple ideas or argue for the best idea. Work with colleagues to identify grade-level terms so that each year, the pool of known functional words is growing. Sign up for Kristina's 14 Power Strategies workshop! Who attends the 14 Power Strategies workshop?